Why is it important to keep your WordPress website up to date? 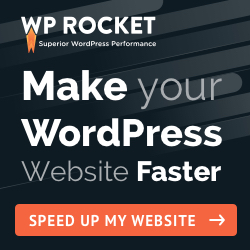 Keep your WordPress updated! Websites are like any technology and require regular updates for security and bug fixes. When new versions of WordPress come out it is often for security fixes with all the latest technology updates as well as reported bug fixes. It is just like any technology we use – Word/PowerPoint/Excel, iOS updates, desktop versions, internet browsers and much more. Updating your website helps keep your website secure and reduces the risks of hacks to your site. Also check out our blog – WordPress Security – How to keep your WordPress site secure. Please follow this order to avoid any blank screens or issues with your site. Ensure your website is backed up. Check with your hosting provider what their backup options are. For example our servers are backed up daily and backups are kept on rotation (if your website is hosted with my servers, you have regular backups). You can also install ‘BackupBuddy‘ which allows you to do backups at any time through the WordPress dashboard. We can install this for you for $100 + GST. Prior to updating to WordPress version # make sure that the theme and all the plugins are compatible with it. It is your responsibility to check if any third party plugins that you use are compatible with the latest WordPress version. When you login to your dashboard it will let you know if there is a WordPress update. Or you can check WordPress org and Download WordPress for information on the latest version available. The easiest way to do this is through your WordPress dashboard > updates. You can read more about why it is important to update WordPress on this blog – Why important to Update WordPress. Update your theme after you have updated your WordPress version. I prefer to do this via FTP so that you can have both the older theme and new theme to switch between if there are any issues. Sometimes it is best to create a staging site and update the theme. The reason for this is the theme might have big changes in the theme shortcodes or functions. In the staging site you can update anything that breaks due to the theme update without affecting your live site. If you are unsure about theme updates please contact us. Lastly update your plugins. You will be able to update most plugins through your dashboard. There may be some plugins that you need to update through your theme files as they are purchased plugins that came as a package with your theme file. For example ‘Visual Composer‘, ‘Layer Slider’, ‘Revolution Slider’ to name a few are paid plugins. Alternatively you can buy an individual license for these paid plugins and link your license key to the plugin for automatic updates through your dashboard. While you are updating your plugins, please check for any unessary plugins and remove them. Keeping deactivated plugins or old plugins you dont use anymore can also create back doors for hackers if they are not kept up to date. Check your Linkability – its good to have inbound and outbound links to high quality sites to help with your Google Rankings. If this all feels a little too hard, too time consuming, or too technical for you, we can help. We have a variety of maintenance packages depending on your requirements. Maintenance packages include: regular backups, optimising database, malware scan, update WordPress, theme and plugin versions. If you would like help with any of the above, please contact us for our package prices.